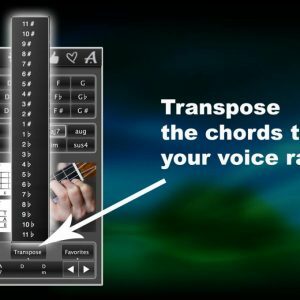 Easy WAV Converter Lite - Convert MP3 Music to WAV for FREE ! 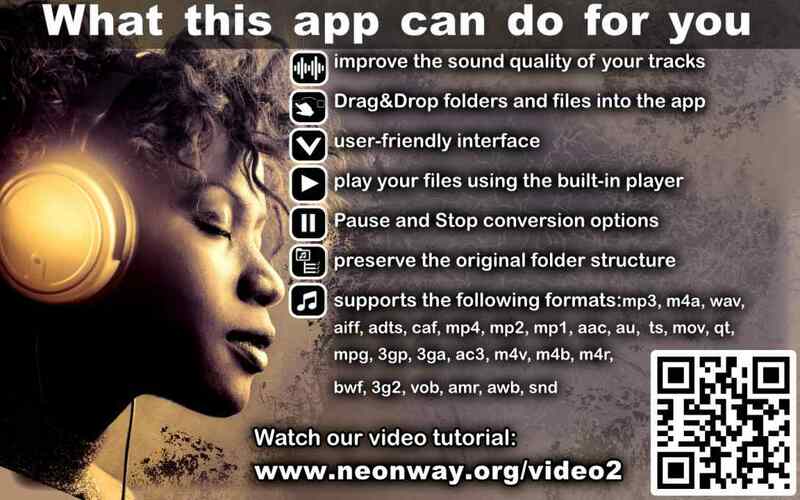 Convert and enjoy audio files in WAV! 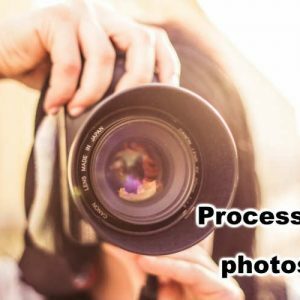 Do you have audio files in different formats, with different sound quality and with different volume levels and want to convert them to WAV format? 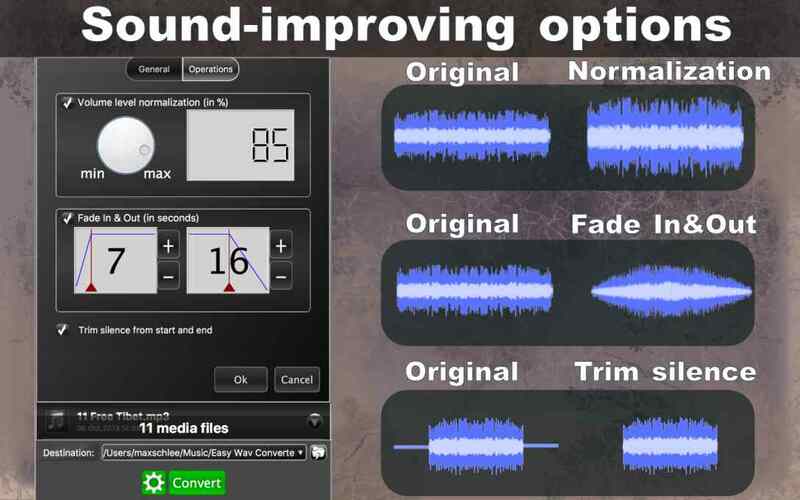 Or maybe you want to extract the audio track from video files? Or to bring sound of all audio tracks to a common level? No problem! This app will do that for you. The app supports the following input formats: MP3, MP4, M4A, WAV, AIFF, CAF, MP2, MP1, AAC, AU, m4r, TS, MOV, QT, MPG, 3GP, AC3, M4V, BWF, 3GT, VOB, AMR, 3ga, AWB, AU, snd, Adts, and M4B. 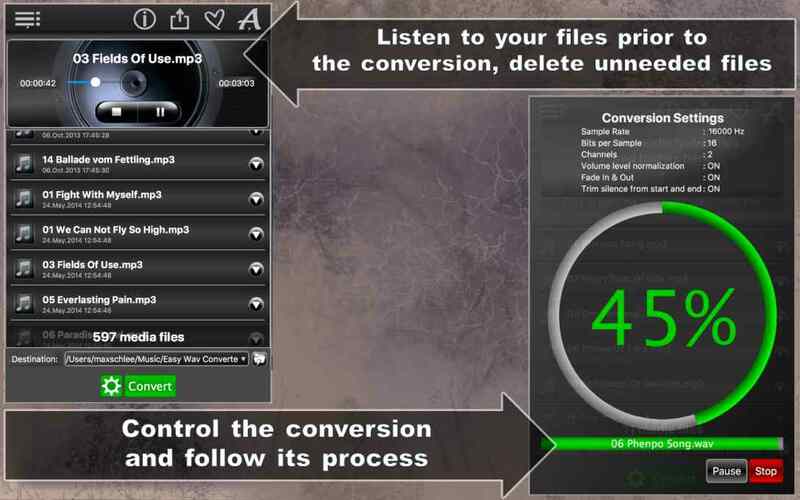 Do you want to play your audio files before converting? No problem, easy WAV Converter has a built-in player for it. Just click the button with the note mark next to the file name, and then listen to sound from the file. Have you detected an audio file that you do not want to convert to WAV format? Then remove them from the conversion list with one click! Everything ready? Then press Convert to convert button and wait until all WAV files are created! 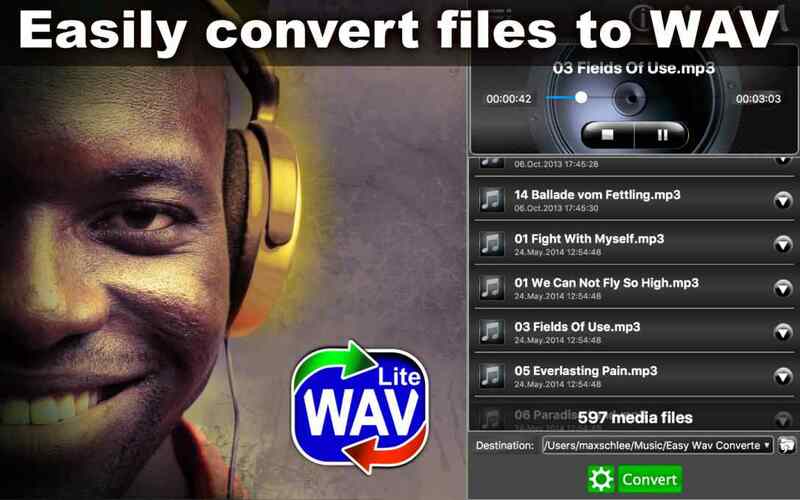 Download Easy WAV Converter Lite now and try the app yourself! 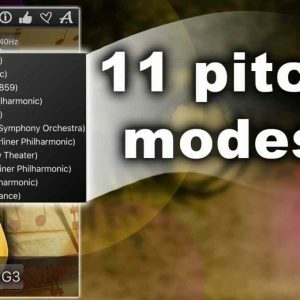 Try out our full version of Easy WAV Converter!